As Vice President for Business and Finance, William E. Davies oversees the university offices of Accounting and Finance. The Division of Business and Finance includes a team of 12 personnel and is chiefly responsible for providing accounting and financial services to students, employees, trustees and vendors. Services include providing invoices and statements to our students, providing information to departments, administrators, and the Board of Trustees on financial operations and processing payments to outside vendors and staff in an accurate and timely manner. Davies has more than 25 years of fiscal management expertise. 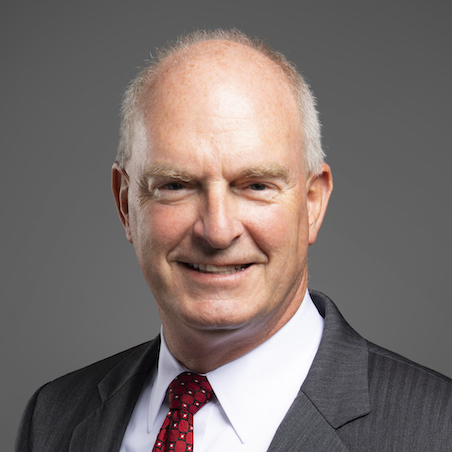 Most recently, he served as Chief Financial Officer and Treasurer at the Milton Hershey School and the Hershey Trust Company - developing long-range financial models and budget processes for the $9.5 billion organization. From 1995-2009, Davies was with Hershey Entertainment & Resorts Company. His responsibilities included long range financial planning, including coordinating operational and capital expenditure budgets, capital projects including the development of the $95 million Giant Center Arena project, as well as coordinating syndicated loan strategies with numerous banking institutions. An active member of his community, Davies has served on the boards of the American Red Cross of the Susquehanna Valley, the Easter Seals Society and Keystone Family Services. In 2002, he was the recipient of the Central Penn Business Journal's "Forty Under 40" award. He is a resident of Harrisburg, Pa., and a 1984 graduate of Gettysburg College. Bill and his wife, Susan, have two children: Megan, and Jaclyn.